Thanks for an interesting post. Did you have to pass any specific options to get the output over the headphone serial? 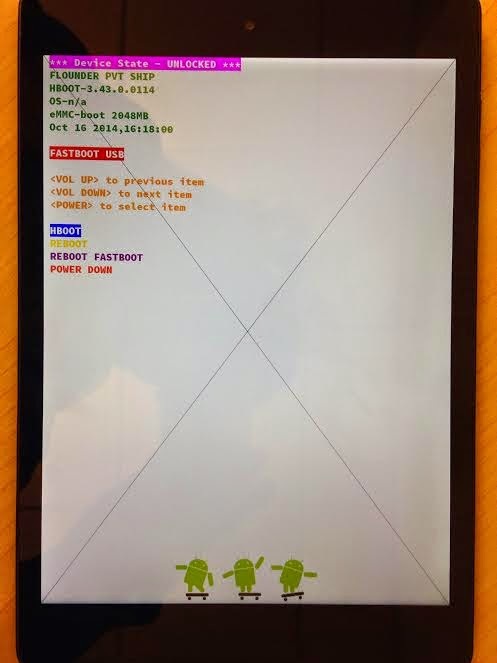 I have a working cable (tested on Nexus 5), that does not work on Nexus9. I am using a cable for the Moto Xoom - and my understanding was that the serial-over-audio is a default feature on Google-class and Nexus devices. Keep in mind that plugging the cable into a working device won't do anything. You will need to reboot, so that the bootloader notices the cable and programs GPIOs appropriately.